You can earn extra money with paid online surveys from the comfort of your home or anywhere as long as you have a workable computer with Internet access. It is a simple way to earn quick cash. Whether you are a stay at home mom or dad, retiree, or student, taking online paid surveys is the most fun way to pick up some easy cash. 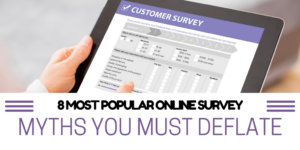 Paid survey sites are becoming increasingly popular across the world. Although most legitimate survey sites generally pay out anywhere between 10 cents and $5 per survey, some companies pay more per survey. If you find some suitable survey companies and join them, you could earn many extra dollars each month. Most companies pay through PayPal or via postal or electronic vouchers, but there a few that pay through bank transfer. The real challenge, however, is picking out the legitimate survey sites from the scams. What Are Paid Online Survey Sites? Paid online survey sites or companies are marketing research companies that conduct online surveys on behalf of marketers or advertisers to find out what their targeted potential consumers like you and I think of any product, service, etc. The advertisers pay the survey companies to conduct the surveys and the survey companies pay us for giving out our opinions. Many companies around the world want to know what their consumers, targeted prospects, or general people will respond to a certain type of product, service, etc through the collection of paid online surveys. Our opinions matter to them as they take strategic decision based on our opinions. Online survey companies collect information on their behalf from people like you and me in the form of paid online surveys. They reward us for giving out our opinions through cash or gift vouchers. Depending on the length and topic of the survey, you can expect to earn anywhere between $1 and $20 with the best survey companies online. How to Find the Legitimate Survey Sites? First, do not get scammed. There are many survey sites out there. Most legitimate survey sites are free to join while some charge you a fee to join. However, the majority of the sites that ask for money to hook up with them will take your money. They either not offer any survey opportunity or will not pay out your earnings. Legitimate survey sites offer 100% free membership and registration, and will never ask you to pay anything ever. So, never pay to become a member with a survey site. It is a rare case that a survey website or company online that is charging you money is legitimate. There are two ways to find legitimate survey companies online to make money with paid online surveys they offer. First, have a search for some legitimate individual survey sites and join each of them. Second, use a reputable third party website or network online that allows you to complete paid online surveys through a pool of different survey companies they work with but with just the one registration. There is a lot of money to be made from online paid surveys. However, how much you can earn from paid surveys online depends on a number of factors, such as time and effort you put in to complete each survey, number of sites you have become member with, number of surveys you receive to complete, rate per paid survey, etc. Some survey companies allow you to take a limited number of surveys each day, while others do not. It is best to try out a number of different survey companies so that you can move on to all the sites to do the surveys. Some online survey companies have a referral program, meaning when you refer an eligible person to one of these sites, you will earn a certain amount of money. Besides, every time your referral fills out a qualified survey, you may earn a certain percent commission too, depending on their referral program. Online paid surveys can help you make some extra money easily if you have spare time. Just browse around and find the best legitimate survey companies online to hook up with them. You would be surprised how much you can earn by joining some of the best survey companies and taking their surveys online. All you have to do is just answering a few questions or ticking the boxes. 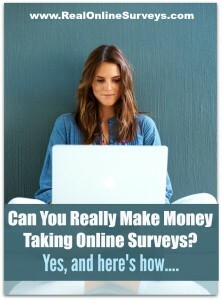 Paid online surveys are fast becoming one of the best ways to earn money from home online. They are simple, flexible, and reliable and they are ideal for many people. 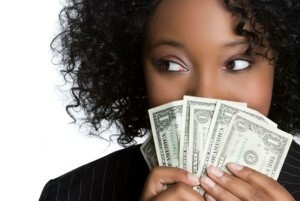 Paid surveys offer some great rewards, such as cash and shopping or gift vouchers. You can do it from home or anywhere as long as you have a computer with Internet access. Do not trust any survey site or network of survey sites or survey site review site that promises an unrealistic pay-out.